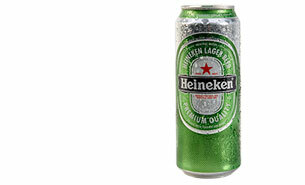 When you hear the name 'Heineken', you immediately think of the brand's ubiquity. This Dutch beer has the greatest international presence in the world. There are few countries where you can't get your hands on this brand of beer. And yet, it is in this international market that there had been problems in the past with the graphical implementation of Heineken's packaging and labels. Previously, a design company was responsible for the design and artwork and a lithographer provided a generic production file to the various printers, be they located in America, Australia, or Asia. Each printer then adapted this file to fit their specifications. And the result... did not often correspond entirely with the approved version. Not to mention the lack of consistency observable when you compared the various printed versions. Whereas that is precisely the point of international branding: a bottle of Heineken purchased in Seoul should look the same as a bottle bought in Buenos Aires. Right? That's why Heineken Netherlands Supply decided to reinforce and above all streamline its graphics supply chain. As of today, PPC – partners in pre-press based in Sint Niklaas – will be responsible for the artwork and repro of the production files. Not only for the Heineken brand, but also for famous brands such as Desperados, Wieckse, Brand, Sol, Maes, Cristal, Affligem and Amstel. Furthermore, as of now, PPC is also introducing colour management and delivering the print-ready files to the printers. These files are made such that they take into account all the technical aspects and the complete press profile of the specific printer. Sounds boring, looks great. What you see is what you get, that what it's always about with PPC. That's why PPC promotes remote proofing systems for brand owners. This way clients know straight away what the end result will and must look like. What's more, this also contributes to an improved Carbon Footprint, as a lot of the back-and-forth of proofs is now a thing of the past. A time- and money-saving solution for the ultimate benefit of quality. Sounds logical, works great. The overall workflow developed by HNS with PPC was declared a 'best practice' by Heineken and voted the best innovation project of 2012-2013 for Heineken Worldwide. The choice to go with PPC and a drastic intervention in the pre-production process translates not only into a percent, but also into euros and cents. Upon inspection, the supply chain appears to be more robust and to run more smoothly. As such, Heineken is saving up to a third on its total pre-print process, it's gaining in efficiency (time-to-market for new packaging is all but halved), but above all it's gaining in overall end quality and in predictable consistency of the print quality. And that's what it's all about for Heineken and PPC. It wasn't decided at random to go with PPC. 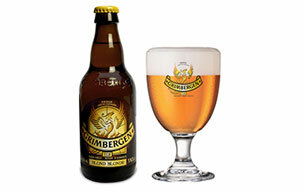 As a graphics partner of Alken-Maes, with brands such as Maes Pils, Mort Subite, Cristal and Grimbergen (a subsidiary of Heineken), PPC has built up a solid reputation over the past 7 years in the streamlining of the packaging production and the rebranding of, among others, Maes, Cristal and Grimbergen beer. * Heineken Netherlands Supply (HNS) is responsible for the distribution of Heineken products and brands in more than 150 countries.